One of the main messages in the book is that you should be an investor, not a trader. That message starts early and continues through to the very last chapter. He explains both why and how we should ride the market rather than try to time the market. Victor takes our taste buds for a ride, too, using our hunger for flavor to draw us unto valuable financial lessons. 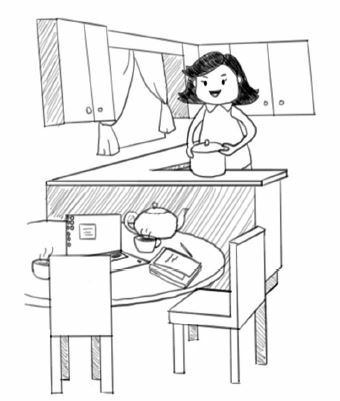 One recipe per chapter, each illustrating a different lesson. Ah, I see you are wondering what that savoury-smelling dish is in front of you? Mom cooked something up, just for you (well, also for me – I don’t want you to have all the fun!). Remember on your last visit, I told you that we can make a delicious meal by frying wontons instead of boiling them in broth? Well, Mom made up a batch of her world-famous Crispy Pan Fried Wontons with wasabi mayo dipping sauce. Go ahead … taste it. Mmmm-mmmm. Pretty good, eh? I can feel the flavour right down to my toes. This is more than just a free meal. These wontons carry a very valuable financial lesson that we will explore today. Many people are raised on the notion that the best way to manage their money is to put it away in “savings”. This often means bank deposits. Sometimes it means savings bonds. These savings are a lot like wonton soup; everybody knows them, but they are bland and don’t really perk up your taste buds. It’s more like parking your money than investing it. The layout and illustrations carry the kitchen table and recipe theme through the book. And at the end, Victor publishes all the recipes that the readers have been savoring along the way. This book is ideal for anybody who has just a slight notion of the stock market, but doesn’t know where to begin. It is a do-it-yourself plan based on common sense. The messages are not all that different than what I read about from some of my favorite personal finance bloggers, but Victor has found a friendly and comfortable way to deliver that message to people who are not comfortable with finance. 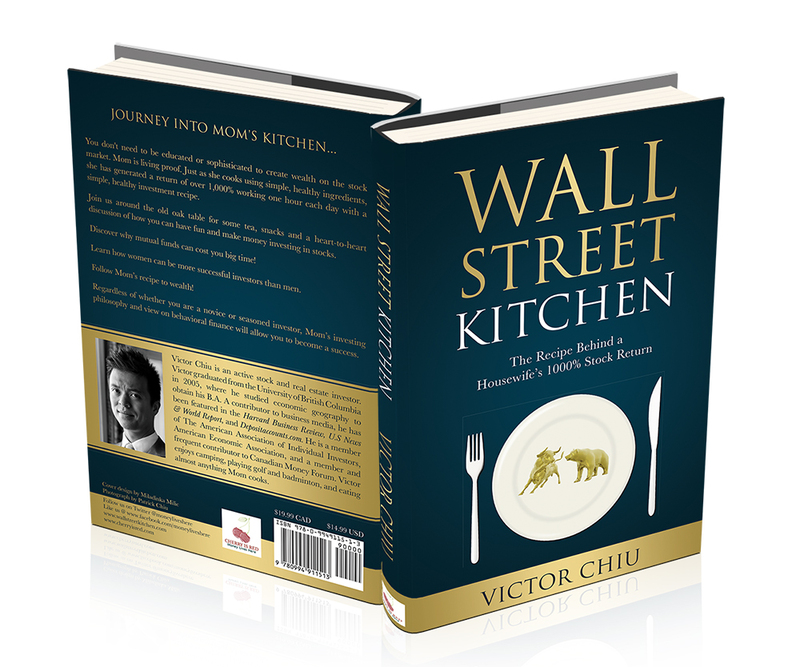 You can pick up your copy of Wall Street Kitchen at Amazon.com or at Indigo/Chapters.